The heating season has finally arrived in the south. It’s time for a comprehensive furnace inspection and tune-up by a qualified HVAC professional. 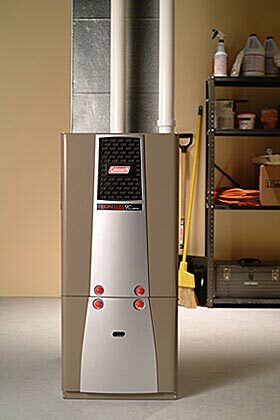 A properly maintained furnace will operate more efficiently and have a longer life span, resulting in immediate as well as long-term money savings. Below is the Furnace Cleaning Checklist of maintenance tasks your HVAC professional should perform. Observe operation of unit, paying close attention to operation of fans. Loud fan operation can indicate premature bearing failure. Clean flame sensor & flame igniter to remove carbon build up. Inspect & clear all hoses to remove any blockages. Check fan blades for dirt & buildup causing excessive unit vibration & noise. Clean if needed. Inspect blower door to ensure there is a good seal, preventing surrounding non-temperature controlled air from being drawn inside unit. Check safety operation of blower door safety switch. Check duct connections at unit for air loss into surrounding environment. Test operation of the unit’s negative pressure safety switch. Check return filter to ensure adequate airflow through return duct. Clean burner rail assemble to remove carbon buildup, which can cause flame distribution to the heat exchanger. Check all electrical entry points into the unit to ensure wire connectors exist & are secure. Check wires & connections. Replace any wiring showing signs of heat damage or with cracked insulation. Check evaporator coil for blockage, which could prevent adequate airflow. Check blower capacitor to ensure proper speed of fan motor. Inspect all pipe fitting connections along gas line supply to ensure no gas leaks exist. Check heat exchanger for cracks & corrosion. Check combustion safety switch for proper operation. Check for proper sealing at all combustion vent connections. Check all duct lines for areas of collapse or excessive turns, which cause airflow restrictions. For more expert advice about furnace maintenance, or to schedule a preventive tune-up with one of our highly qualified HVAC professionals, please contact Comfort Climate Service or call 251-610-2848. We provide quality and prompt service in Fairhope, Daphne, Spanish Fort, Foley and surrounding areas in Alabama. We strive to help educate our customers about energy efficiency and home comfort topics with regards to Heating and Air Conditioning systems.